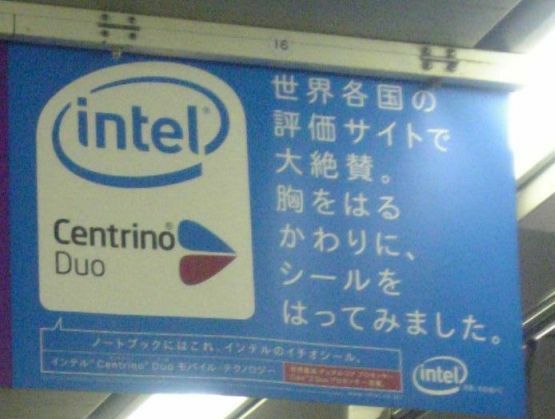 This ad was posted on a train a while ago, and I’ll be frank…I chuckled. Perhaps you will enjoy it. So here it is with an explanation. Acclaimed on ratings websites worldwide. Rather than stick out our chests, we thought we’d just try sticking on a sticker/seal instead. Yes, it can be used in the sense of a woman’s, well, “stuff”, too. To twist/turn one’s chest and/or shoulders into a bow-like shape, so as to look large, in order to demonstrate one’s strength, confidence, etc. To paste on with glue, etc. To stick on. To try and do something. To do something in a tentative fashion. so, sorry for being persistent, but how would you make SRS cards out of the above example sentences? So, two cards. One for each sentence. There’s something I’ve been wondering about for a while now… what dictionary are you using to pull those definitions from? I’ve been looking for a good online, free Japanese-Japanese dictionary to use but I can’t seem to find the one you keep using. I’ve checked the links on the side of your page but none of them seem to display it in the same format… Are you using a program or something? Thanks and keep up the good work! Hi. I generally use the Super日本語大辞典. It’s convenient because all look-ups can be done with either one keystroke (hotkey) or automatically from the clipboard. There are, I imagine, newer and better software dictionaries out there, but this one works well enough for me. I supplement it with online dics.